What is FIFA 19 Beta? 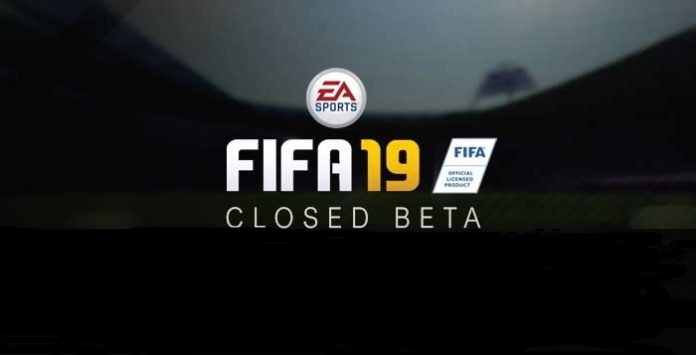 FIFA 19 Beta is a closed mode game edition and allows players to play the game before FIFA 19 offical public, FIFA 19 closed beta mode is only available for PS4 and Xbox one platforms. As we know, nearly all games have many inevitable bugs when develop, buy each game publisher hope to decrease them to minimal when the game released. Obviously, game publisher don't want to see their fans play the game with many bugs, that will lead to lost publisher's fame, take Blizzard for example, as the top 1 MMORPG game ever, World of Warcraft has epic story mode and perfect battle system, just a little bugs comes out the game, so it was popular with players all over the world wide, but recent years, these have been changed, there are many bugs in game, especially starting from 7.0 version, Blizzard have to make many hotfix endlessly,this has greatly damaged blizzard's reputation, players no more admit "Published by Blizzard, Must be competitive",this is a disaster for them and lead to they lost many fans and lose their money finally. EA don't wanna see like that, They treat the beta version very seriously, so they send the many invitation to their fans to hope the fans to join the beta mode, but not each fans will be invited. So, how can fans get chance to join the beat mode? 4, you must have played FIFA 18 regularly. How to improve the chance to get the Invitation code? it's easy.follow this tips and you will get higher chance to get the code. If you are lucky enough to get a FIFA 19 closed beta invitation code from EA,congratulations, IMFIFA hope you enyoy the testing time.